Your clients aren’t visual artists, spark more sales by showing works in situ. When a travel business sets out to sell a holiday, how do they do it? They show the Riveria cliffside, perfect lighting, beautiful food and a shiny happy people enjoying the time of their lives. They’re selling the sights, sounds, tastes and how great you’ll feel inside and out. Since luxury vacations are not exactly a necessity when do you convince yourself to buy the ticket? Likely only after you’ve imagined yourself in the picture and felt the good feelings washing over you like a gentle wave. Now imagine if only the meal is shown minus the gorgeous sunset, perfect smiling people. Would you be as compelled buy the ticket? Similar to a dream vacation art is a luxury purchase. Collectors are more likely to buy if they can connect to the feelings of wellbeing and joy that the art will bring into their lives. 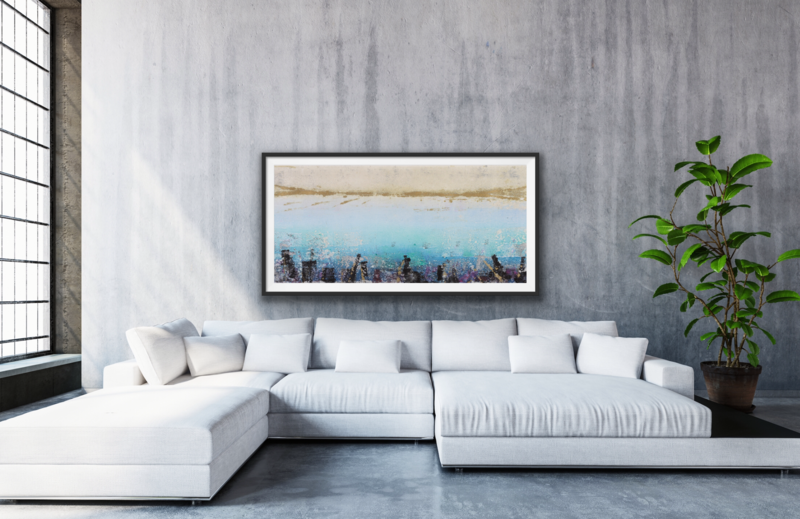 One of the most powerful ways to instantly transport clients and spark further connection is to share the complete picture of the art as part of a beautiful interior (or the client’s interior), well lit and vibrant against the wall. Those of us in the art world so often forget that our clients, unlike us, haven’t spent years working in the visual arts. While it’s second nature for us to instantly view how great a piece or multiples will look on a wall in our minds eye in mere seconds, for many our clients, not so much. If you look at many artist and gallery social media posts you see the singular solo piece standing alone, sometimes in process in the studio. Just showing the art without the setting to place it in context is like trying to sell the complete vacation and only showing the meal. Fortunately there are quick and easy tools (beyond time consuming Photoshop) to bridge the gap and offer your clients the entire art experience. One of the newest and most exciting ways to further engage with your collectors is the recently launched Artrooms App It’s created specifically for artists and galleries to quickly share their art in situ, either with gorgeous interiors provided or imported images of a client’s rooms. Using the app is a breeze. 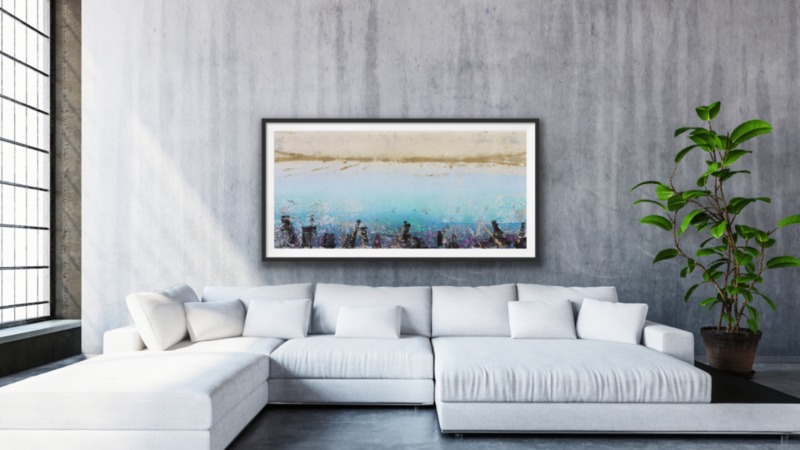 Once your art is added, easy edits such as art rotation, lighting adjustments and even more fun options (such as displaying your art in full color against a black and white interior) can be made to ensure your art always looks amazing in situ. You can also share framing options with your clients using frames provided or even inspire them with fresh color ideas for a new rooms with the Pantone color wall! Want to be further inspired? Check out Artrooms App Instagram page to view creative ways artists and galleries are sparking sales by displaying art in situ and start sharing art smart!